17 1/4" overall. 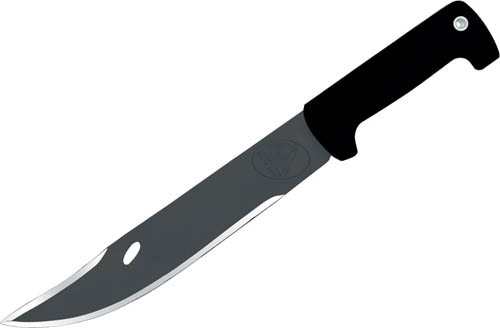 12" 420HC stainless blade with black oxide finish. High impact black polypropylene handle. Lanyard hole. Black leather belt sheath.